I Want a Costa Rica Nature Vacation. Where Should I Go? I Want a Nature Vacation. Where Should I Go in Costa Rica? Anywhere can set you up with fascinating nature tours. Learn about the wide range of Costa Rica’s nature destinations before you decide which environments you most want to visit. You can choose to go on an engrossing trek through the rainforest, sleeping in cabins along the way, or plush hotels nearby national parks. The Osa Peninsula is at the top of many nature enthusiast's must-see lists. In Drake Bay, Caraté, and the Corcovado National Park, you'll find swaths of untouched forests filled with exotic plants and animals. Go to the coast for whale watching and dolphin watching excursions, and follow a guide deep into the inland jungles. Stay in Monteverde so you can have easy access to several parks, as well as wildlife exhibits where you can see butterflies and bats. Santa Elena Cloud Forest Reserve is less visited than other reserves in Monteverde, and is one of the best places in Costa Rica to see noisy howler monkeys. Go looking for one of the most sought-after birds at San Gerardo de Dota, where you can easily get to the Los Quetzales National Park. While you’re here you can also visit the Savegre River for boating and fishing. Look for more exotic birds at Boca Tapada, which is one of the few places you can still see the great green macaw in the wild. In Tortuguero, you'll find no cars, beautiful mangrove canals, and nesting sites for several species of sea turtles. You can also find sea turtles in Marino Bellena National Park, which is near the pristine beaches and plush accommodations of Manuel Antonio. There’s a lot more to Costa Rican nature vacations than hiking. You can sign up for a rafting tour in the jungles of Puerto Viejo de Sarapiqui, or in the volcanic terrain of Tenorio. Tenorio National Park is also home to the bright blue river of the Río Celeste, and one of the most striking waterfalls in Costa Rica. Arenal’s rainforests are a convenient place to sign up for adventure activities like zip-lining. What Is So Special About Costa Rica's Biodiversity? Does the Guided Tour at the Monteverde Reserve in Costa Rica Include the Entrance Fee? Are We Guaranteed Entrance? Can I Expect to See Wildlife in Costa Rica? Where Are Costa rica's National Parks & Reserves? 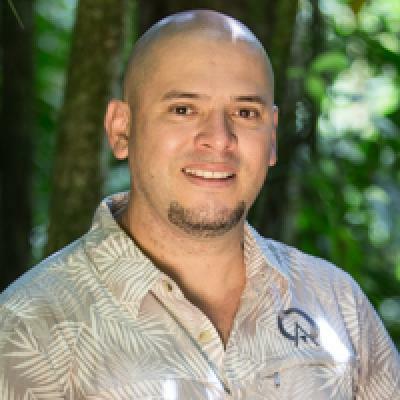 How Do I Find My Guide at Monteverde or Santa Elena Reserve in Costa Rica? Does the Cloud Forest Reserve in Monteverde, Costa Rica Limit the Number of Visitors? How Much Does it Cost to Visit a National Park or Reserve in Costa Rica?